Need math help? Let us help you find reliable math instructor. Our company is specialized in math home tutoring match making services in the state of CT and NY in Fairfield County and Westchester, New Haven county areas. Our instructors can come directly to your home and tutor your children/ students math subjects. We also have instructors who can teach college level math and adults. Math tutoring takes place at home, public library or Starbucks, or alternatively online. Pricing for hourly rate depends on qualification and educational experience. Some tutors are certified teachers, some subject experts. Our subject matter experts also offer discount packages, helping parents save money on their expenses. Even if you live in Greenwich, Norwalk, Westport, Weston, or Wilton our tutors can travel to these locations and provide high quality Fairfield County academic educational services. If Math Private Math lessons too expensive, Why not try our Online Self-study Math Materials? Let us help you Find affordable mathematics Help in Fairfield County and city, CT,and get the help you need to achieve in math class. With the assistance of our algebra, geometry, calculus, statistics tutors in nearby Areas of Trumbull, Stratford, Milford, Darien, Greenwich, New Canaan, Bridgeport, Stamford math students at every level (elementary through college) can receive invaluable private instruction outside the classroom through in-person or online math tutoring. We also service neighboring Westchester county NY. Need Algebra Help in CT? View our Algebra tutoring service CT page. Math for Home Schoolers! or students on the budget! We realize that Fairfield County math students may simply not be ready for online or local home tutor or perhaps do not have enough money to afford private 1 on 1 local or online tutor, and simply looking for more affordable supplementary interactive type of math solutions in the form of organized math curriculum that can help students excel in school, while simultaneously reducing expenses. Tutoring Services, LLC specifically partnered up with another company who specializes in math curriculum to deliver such video based interactive math lessons and keep education prices affordable. Especially useful for home school children in Fairfield County CT who need to study on their own, this type of organized study material that is offered, is much more organized then Khan Academy has very good looking intuitive lessons and parents of many children love it. Especially if you have more then one child this can be great method to supplement your children mathematical set of expertise. The interactive video math lessons are designed to be as supplementary method of learning, but definitely should not be used as the only method for preparing your children in math subject. It is in fact much more attractive in pricing then local math tutor or online math tutor and is great for Fairfield County parents who simply can not afford expensive home tutor or even online math tutor. The math program does have great interface, beatified consistent explanations, and is not just compilation of random tutorials like you see on other FREE sites like Khan Academy. Hence form that perspective we think it can be great supplementary study aid. This program is perfect for self guided math learners, simply place your child behind computer and have him go through all the lessons. Obviously this program lack flexibility to ask tutor questions or fails to provide individualized attention that you would get with online 1 on 1 tutor or private home tutor, but nevertheless it's much more affordable, much better quality then any other free resource you see out there and definitely can be greatly supplemented with other services provided by Tutoring Services, LLC such as 1 on1 online math tutoring, and private math home tutoring. Just to give Fairfield County parents an idea of how great this product is, consider the following math learning methods. Method 3. Self Guided + Interactive Math Learning for students in Fairfield County or the USA or even other countries. Method 4. Hybrid Math Learning inter-combination of all resources. Now let's put a rating scale on all 4 methods in terms of quality, affordability and learning effectiveness and how well method is aligned with school curriculum goals. Method 3. Self Guided + Interactive Math Learning for students in Fairfield County NY or the USA or even other countries. Quality of local math tutoring is much better then online, providing all of the other factors are equal. Local math tutoring provides 1 on 1 individualized attention for students in Westchester County NY hence it's much better then online math tutoring or self guided approach, simply because tutor is sitting next to student, and can quickly identify weak links in student's math area of expertise, and keep student more focused, review math homework assignment and see student's responses in real time and make recommendations on how to improve student's answers or how to answer questions properly while making sure student understands the concept. Hence we give quality value for the 2nd highest potential learning effectiviness of a 4 to Local Math Tutoring learnng method. Traditional Local 1 on 1 Math Tutor is more expensive then online math tutor, or more expensive then self guided study guides, However tradtional math tutors typically rely on material of students that students use in school such as math homework worksheets or student's math book, and rarely go above and beyond traditional methods of math teaching other then to use plain pencil and paper with tutor's own book as additional reference method. Local Fairfield County Math Traditional tutors are typically retired teachers or adults or subject matter experts or college students as well. Traditional Local 1 on 1 math tutors do not use any type of specifically crafted Math tools to deliver their learning instructions. They are not in anyway trained or guided by Tutoring Services, LLC on how to use math tools and simply do not provide any type of flexibility for local tutoring sessions to be recorded for further review, neither do they have method to reinforce student's knowledge and by being able to assign homework questions which can be reviewed by tutor to see how well student is doing to get a better understanding of how far behind student really is. Traditional Math Local Tutors are less expensive then hybrid math tutors (tutors who teach students math locally or at home, but also leverages online whiteboard to deliver math instructions) and more expensive then online math tutors. Traditional Math Tutors are harder to find then online math tutors, especially for specialized math subjects. Traditional method of math tutoring has been used by many generations and is still being used today. However there is a new approach 21st century approach to learning that makes traditional tutoring less attractive to parents of Westchester County and Fairfield County CT. So what approach is better then simply traditional method of local home tutoring? Our answer is Hybrid Math Tutoring approach which is Type 2 of a local 1 on 1 math tutor. If the local one on one traditional Math tutor is ranked as number 4, what is ranked highest? Type 2. Hybrid Math Tutor. First of all what on earth is that? Good question we are glad you asked. Hybrid Math Tutor is the type of tutor who utilizes intercombination of specifically created mathematical tools neatly created by Tutoring Services, LLC company with intercombination of any other study mathematic materials that tutor sees fit during the tutoring process. In addition to using intercombination of mathematical whiteboard during math tutoring lesson hybrid math tutor may also assign student math homework for student to answer on their own and be able to see during next lesson if student spent any time answering homework questions and what questions student got wrong, and reinforce student's knowledge during next lesson. Another kewl part about hybrid math tutors is that math tutoring session optionally can be recorded for further review by the student, and student can review recording at a later time. This is an optional feature that we provide to parents. To read more about our hybrid math tutors visit our Westchester County tutoring sister site. Online Math Tutoring on a scale from 1 to 5 would have to be valued as 3, simply because it still is one on one type of tutoring, providing individualized attention and making it easy for a student to ask questions using already existing 21st-century tools. However students who work with online students are less focused, take process of learning less seriously, however they are reinforced with reliable math knowledge of the tutor, can still take picture of their math problem over IPAD or Microsoft Surface Pro table or Android device or Tablet based PC with camera and Mic and still get the help from the tutor still learn from the tutor concepts still be able to share worksheets just like with local tutor. However technical barrier between tutor and student is still an issue in some cases, and due to many incompatible technologies that exist out there, online tutoring still has some limitations. However using online tutoring makes it easy for a student to understand problems by leveraging diagnostic homework assignments where an online tutor can check student's work and be able to get the critical knowledge to advance further. Plus Online Tutoring in real time can give student flexibility to get school homework reviewed, discuss any school related questions and help a student, in general, get a better grade. Self Guided Interactive Math Learning Concept is rather different but affordable, it's designed for home school students or any other students who need help in math, by being able to review lessons interactively still have diagnostic method of tracking progress and still be able to gain critical understanding, and stay ahead of other school team mates. It still is a high-quality type of method but from the perspective of learning effectiveness, we give it a quality value of a 3. This method is flexible for students who simply want better grades and willing to put consistent time into learning, and great for parents with multiple kids who want to enroll them in this program. However, we would have to give learning effectiveness score of a 3, simply due to the fact that although it can provide great learning effectiveness, it's not as good as a real human interacting with the student on 1 on 1 private basis. Hybrid Math Learning tactic is the best Tactic that you can do for your child as the Fairfield County and we give it score of 5. 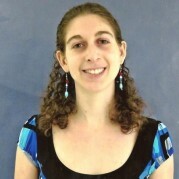 Simply because this method inter combines both self-guided learning tactics and online math tutoring tactics, and local. How does Hybrid Math Learning work for my child? Simple, you contact our Tutoring Services, LLC company we help you get matched with a local Fairfield County tutor, you tell us your price budget we do the rest, you can buy affordable math tutoring packages directly from local home tutor's profile, we keep all the accounting done for you, all the pre-screening, and even optionally if interested let you meet with the tutor over our video whiteboard pre-screening tool, giving you the parent flexibility to get to know who you are going to be working with, who shows up at your home, how much money they will charge you and best of all see if local Fairfield County Math tutor makes sense for you or not. If we can not find a local tutor in our database of tutors we simply notify you provide you with alternative options. Options range from us continuing to search for your tutor, or helping you get matched with online math tutor alternatively, or even referring you to our sister site which is full of independent tutors, who work on their own with no match making recurring commission fee involved, however such tutors are not managed by us and can charge more or simply not be held accountable for their actions. We match make your son or daughter with online math tutor, where similarly like with the home local 1 on 1 tutor, we also show you candidate with packages, where you can buy tutoring discount packages all from a single company, no need to jump around across different companies, our company specializes in both local and online tutoring. We send you a profile of online tutor or cross comparison of multiple tutors for you to chose from. You can similarly optionally meet with an online math tutor, just like local tutor face to face over whiteboard for 15 mins and decided if the tutor is right for you. The unique concept about our online math tutors is that they would have the tools to teach students online, all the math tools, that no other company in the world can provide, tools ranging from optical character handwriting recognition, allowing students to convert hand written input using Surface Pro stylus into real math symbols, providing student with step by step solution explaining specific equation, rulers, protractors, grid papers and many other components that other companies simply do not have or bother having, due to the fact that the field of mathematics is very narrow, however since our company focuses on both tutor match making for local and online tutors as well as study guide creation we are able to leverage these tools to minimize costs, and therefore able to deliver such mathematics solutions to students. Not only do we have math tools that help students and teachers write math equations, interact with one another over the video but we also have social media platform Facebook.com/MathTutor and many math sites helping us recruit tutors faster while keeping our tutors busy responsible and accountable for their actions. Plus parents can gain access to whiteboard recordings of each lesson giving great flexibility for students to review 1 on online tutoring for later use, something that can't really be done with home tutoring. Hence maximizing your son's or daughters learning effectiveness in mathematics even more. FYI if you are interested in seeing just some of the features that our math whiteboard offers, check it out here, and feel free to contact us to have your child residing in Fairfield County to go ahead and get matched with one of our online math tutors. We sell you one of the packages for interactive self-guided math video courses and help your son or daughter or multiple children in your family learn math for an affordable price. This will keep the students going, reinforcing concepts in mathematics and learning concepts faster, seeing mistakes they received and getting reinforced automatically with relevant tutorials based on the self-guided video interactive course in the form of tests and worksheets compiled neatly together to provide an effective process in learning. Note it's not going to answer student's questions like a real tutor would, but it would be more affordable and something to keep your kids busy while making sure they get adequate knowledge for fraction of the price of a tutor! However, studying with out a tutor will not be as effective as with the tutor. What if I don't like any of the Math learning methods. If you are thinking we are trying to sell you something, and you are still not convinced and do not want to buy self-guided interactive math course, then feel free to visit our studyguide.net/mathematics site to see other resources, see their prices and make a decision on your own for what is best for your child. However what we described here with the hybrid approach we believe is the best option. You can also visit our math books sites, if everything else fail, studying from simple math book which you can buy from cheapest book store or students directly in Fairfield Campus can also be an option, however books are not as effective as interactive self-guided video lessons in math, hence do not expect the same quality, however feel free to check our http://www.usedcollegebooks.net/academic-books/mathematics section and help us save the environment by reusing old math college textbooks. How different is Tutoring Services, LLC really compared to any other math companies in CT and NY? Well, answer is simple we provide actual solutions for higher math learning effectiveness, and can care less if someone buys a tutor from us or not, other company's revenue model is to simply sell parents and students tutors, we do not solely rely on that concept like many other tutor match making companies do, our goal is to provide affordable math education, regardless of what solution you buy. We are partnered with a variety of companies who are strategically aligned to help us make the concept of affordability a reality. We do not specialize only in tutoring match making and take commission clap our hands and run away. This is what other companies do plus charge parents outrageous fees for simply acting as the middle man, what we provide is a full solution full educational progress and yes we charge commission fee, but not because that is our only method of revenue like it is the case with other companies, but because we want to provide higher quality service and better affordable educational solution. We dare you to go out and take a challenge to see if you can find any other company in Fairfield County who offers anything remotely close to what we offer. Most of the parents who contact us, tell us they will think about and call us back, and most of them do, after realizing that there is no company like Tutoring Services, LLC anywhere near Fairfield County CT or Westchester County NY. In fact nowhere near possible in the whole USA. Reasons for that include a robust network of sites that we created to reduce our fees to minimum numbers. Something that other companies don't bother doing. Meaning all other tutoring companies have a single site and do not bother even having multiple sites, resulting in higher costs and higher agency commission fees. We on the other hand leverage inter-combination of different tutoring sites, with different business structures in combination with pre-screening background check practices, and test prep resources, giving us a competitive edge over any other tutoring company in CT or NY. Why are we better in math match making service than any other sites you see out there in Westchester County NY or Fairfield County CT? Forget other sites that give Mathematics tests to their tutors which they can cheat on and be certified in 100 subjects at the same time show up at your Westchester County home and not provide real educational value for your child the value that every parent should be looking for especially if they want what's best for their kids, forget sites where tutors show their teaching styles using videos, but do not show any information about grade levels and how comfortable tutor is in regards to teaching specific grade level student. Why having Math Instructor come to your home in Fairfield County CT is better than having children sent to math learning center? Reason #1. In learning centers, students are mostly taught in groups and do not have much-individualized attention to offer to your son or daughter? So the question here should be, do I as the parent want to have my son or daughter have individualized attention or not Yes or No? If you answer Yes then learning center in 95 percent of the cases is not the right for you. Reason#2. You must drive your kids to the learning center to do the math. So the question here should be as follows, do I as the parent have time to drop kids off in the learning center, spend time driving only to receive the mediocre level of tutoring based on group sessions Yes or No? If you answer yes and you are ok with driving your kids, then learning center may be good possibility for you. However, learning centers tend to not care about specific school curriculum what is being assigned in school and how to tailor algebra homework assignments based on school curriculum. Some claim they do, but in reality, most of the time they use one size fits all model when educating children which do not work for every child. Top 5 Reasons for Westchester and Fairfield County Parents to Use our Math Tutoring Services, LLC as the agency to help with the match as opposed to searching for Tutor on Your Own! Learn Fun Math in Fairfield and Westchester County CT | Fun Math Program for kids and adults! Whether you are interested in simply preparing for college or simply taking advanced acceleration math class online, we have math experts who can help you or your son or daughter with academic studies. We can help students who are either elementary, middle school, high school, college or even adults to get the gist of Math and stay ahead of their own school peers. Grade 1,2,3,4,5 Math Program for Kids with the Private Tutor at Home! Use fun and engaging Math exercises. identify repeated errors in your mathematics homework, & Provide remediation. Self-guided Math Prep + Online math Tutoring hours with the minimum of 20 tutoring hours purchased per month available for student's use based on scheduling and availability of the tutor. Self Guided Math Prep with the option for a student to send their homework and get graded by the tutor. Don't want to hire a tutor and simply want to buy math drill worksheets and have your son/daughter go through drill exercises on their own, then have one of our online math tutors check their work? We have that option as well! Don't want to hire a tutor and simply have babysitter sitting with kids, who can simply print out drill exercise and worksheets and hand them out to your kids during busy summer season and supplement your son's or daughter's knowledge in math? Or perhaps simply have your child get prepared before they head out to school in September and stay ahead of other school students, and not looking for a private tutor, but prefer rather more affordable option? Provide still flexibility of getting tutored by private online math tutor. Provides flexibility to simply hand out drill exercises to your son/daughter or give it to your babysitter to hand them out. Outsource your work efforts of checking if your son or daughter did their math homework to us. Get dedicated instructor based on flexible scheduling agreeable upon both parties (tutor and student's guardian). No reason to leave your home by driving to the learning center. Self Guided Math Program for kids works as follows. Student Gets Set of Math Drill Exercises for students in their grade level based on common core standards. Student gets a schedule for when the exercises are due along with each section and topic for every drill set exercise. Student completes exercises on their own, and submit worksheets back to us by email. Our Tutors review worksheets make comments and submit back homework scoring to the student with their comments by email. Progress report for how their son or daughter doing in math gets send out to parents, showing overall scores from major units and sections, topics. For any questions that student wants detailed answers for a student can schedule a session with the tutor online. Each student gets 20 use it or lose it tutoring hours per month with the tutor and can schedule tutoring sessions with our online math tutor directly. Tutoring hours do not get carried over, If 20 hours are not used during the month of enrollment, then any unused hours fee will not be reimbursed. Students can enroll into the multi-monthly program. Students and tutors come up with their own flexible scheduling within each month. What does Online Math program for Fairfield County CT Kids include? Dedicated Online Math Tutor for solid 20 hours use it or lose it real time tutoring online period. Work Schedule Syllabus for when homework worksheets are due. Hourly rate depends on online tutor who will end up tutoring your son or daughter, some of our experts charge between $30 to $50 for online math tutoring. If a student would like to save more money and buy a package with 40 hours at 10% discount, such option is also available. If a number of hours gets depleted during monthly month program period, student parent can purchase more hours. Entire monthly program cost at best case scenario will cost you $600 to $1000 per month, which is a fraction of a cost of a dedicated private home tutor. It provides semi tutoring based approach, helping adults take the most flexible based approach, save money on educational expenses and still ensure that their son and daughter don't fall behind in upcoming school year! Do not want to spend money on online tutor? Do not want to spend $600 to $1000 per month on the combination of tutor and self-guided course? Does your child simply not have enough time for a tutor and simply want to study on their own? Then this option is for you. Provide still flexibility of studying on your own. Provides flexibility for the parent to simply hand out drill exercises to your son/daughter or give it to your babysitter to hand them out. Outsource your work efforts of checking if your son or daughter did their math program homework to us. No reason to leave your home, avoiding long driving trips to learning centers. Perfect supplementary for summer study. Student Gets Set of Math Drill Exercises for their grade level based on common core standards. Student gets course schedule showing what topics will be covered within the particular month. Student completes exercises on their own, and submit math homework worksheets back to us by email. What does Self Guided Online Math program for Fairfield County Kids include? Drill Exercise WorkBook with practice questions and answers, and homework worksheets. Each worksheet topic is for specific grade level, based on common core standards. Course Syllabus showing what is covered in each month. Contact as at info@callmytutor.com to request your Math Program Kit for your son and daughter today! Similar Math Programs in CT are available for other grade levels. If you are attending Sacred Heart or Bridgeport University or any other nearby universities, you can take advantage of huge book savings, by being able to buy college math books directly from other students on Campus or simply rent them before your school year begins, help you save money and helping environment stay green Or Alternatively you can sell your math textbook to another student on campus and make some money as well. We are all about affordable education and reusing books and avoiding expensive shipping fees as well as expensive bookstore expenses is what we are all about. So why not check it out? Our Algebra 2, Honors Geometry and Pre-Calc teachers can also answer any questions you may have and review material covered in your math class. They can help you prep for mid term and final tests too, as well as complete math projects. Contact us today to help you find reliable math tutor in CT.
As your math grade improves and your confidence grows, you’ll be glad you did. Studying for your Elementary/Middle School TEXES  exam? Learn how to improve your test Math score with tips, practice questions and detailed review learning resources for Educators seeking Grade 4-8 level certification. Studying for your teacher certification exam doesn't have to be difficult any more with the help of Tutoring Services, LLC test preparation resources. If you are planning to teach math in Texas Elementary or middle school, then the chances are you will need to take TEXES 115 Math exam for Grade level exam. Discover methods for tackling your TEXES Math Exam and improve your score. Find out Magic methods for how to prepare for this exam with flying colors. Trying to get certified to teach little kids math, fractions, and percentages doesn't have to be difficult providing that of course you know your math subject matter expertise your self. Note some kids require special attention and not fast math learners. Understanding the core subject matter is essential for any educator seeking to get certified regardless, if it's for the test such as TExES 115 or any other test for that matter. To become certified teacher there are general requirements that you must full fill which require you finishing school undergraduate program and satisfying other criteria. Taking this exam and getting certified is just a tip of the iceberg. However passing this exam with the appropriate score that will allow you to get certified is essential. On this site we have compiled several study guides  and test preparation materials. Consider reviewing for your exam with test preparation materials, such as flash cards, exam   secrets and other recommended learning resources for maximum learning effectiviness. Further down below we will share what concepts you need to know for this exam, but first let me tell you the story about my success as the math teacher. Rome Wells Story of becoming a math teacher. Texas is a big state, and there are lots of big roads (much bigger roads than let's say in CT state) and lots of great activities, however to enjoy majority of these activities, live in a nice house and sleep well without having to to worry about your finances takes a lot of courage, and a lot of passion. It's also a good idea to have a goal in mind. Goal that can help you put bread and butter on your table and feed you and your family. My story of becoming a certified math teacher for the state of CT was something that I had to do not because I wanted to major in math, but because out of fear. Yet that fear helped me to become who I am today. Well let me tell you something honestly, from the bottom of my heart, from my perspective and my angle and what I think about math and what i think about teaching, and why I think it's important for you future elementary math teacher grade 4-8 level realize your own goals, and whether or not you truly want to be a teacher. Although I do not live in Texas, I do knjow about TExES 115 exam, and I do know that to pass this exam you need to know your math concepts, I also know that you are in the stage of your journey where you may like the idea of teaching kids and think it's easy. Is Math teaching truly right for you? I realize you are concerned, you want someone like Rome Wells to show you the right path, the path towards success, the path towards freedom, the path towards prosperity the path to happiness. I realize you are possibly scared of this TExES 115 Grade 4-8 exam and I realize that you are thinking about taking it and moving on with your life and following the dream. Although yes, education is a nice field, you do get to have vacation in summer, and can tutor part time after school often making more money than in other professions, but that strictly depends on the area you are in. CT NY and NJ are the hot areas to be in avg hourly tutoring rate is higher there for math teachers, however grade 4 through 8 teachers often get paid less than high school level teachers or college, hence picking an extra cert for higher grade level doesn't hurt. Often when you can't pass something it's a good idea to ask for help. Why not get get help from a local or online TExES math tutor who can help you prepare for your math grade 7 12 exam. Search for local tutors in Texas. The best part about our (www.TutoringServices.com) sister site is that tutors can provide first Trial lesson for only $15, with no agency comission, making it possible for you to get affordable math, science, english or other type of academic subject expert at the convinience of your own home! 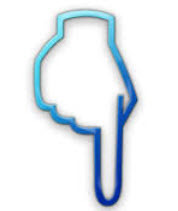 Searching for local tutor is easy simply visit site below and search for your local tutor. Our local math tutors do not get charged, tutoring agency fee, and therefore can offer the best prices! Preparing for your exam is easier then ever with the help and guidance from a professional mathematics subject matter expert. Find your math content knowledge expert today and prepare for your exam with confidence. Want to get rewarded for becoming certified teacher? After passing your Exam and becoming certified teacher be sure to visit our sister site www.TutoringServices.com to register as a local elementary or middle school math independent  tutor, on this site you can register FREE of charge and offer your tutoring services for Texas School parents who have grade 4-8 children who specifically need help in math subject. Interested in preparing for your Middle/High School Teacher Cert? Studying for this exam with flash cards can help you improve your memorization skills and increase your chances of doing better on your exam. Review for your  TExES 235 Math Middle/High School Secondary School Level exam with the help of flash cards. If you are in the process of preparing for TExES math teacher certification exam,  then do not hesitate to check out more info about flash cards, and also if you are interested in increasing your chances evne further, consider reviewing your content knowledge with math exam secrets. TExES Math Teacher Certification Info Educators trying to become Grade Level 7-12 Certified in the state of Texas. Trying to become math teacher? Interested in teaching high school grade level in TEXAS high schools or middle schools? If you answere yes then this is the test that you must take and pass in order to pass one of the state certification that require teachers to pass this exam with the appropriate score. For the type of score that you need consider visiting ETS site. The TExES Mathematics 7-12 (235) Exam is not easy to pass, especially if you do not have proper mathematics background. Knowing core math subjects involving concepts of equation, solving, proportions, multiplying, dividing, finding patterns, solving inequalities, knowing major formulas for Hyperbola. Understanding how to solve equations, solve patterns involving functions, hyperbola, one variable quadratic equations, alongst many other things is essentially the key in preparing for your exam with confidence. To find out registration dates and details about his exam don't hesitate to visit official ETS site. Use this site to compare study guides, in the form of exam secrets, flash cards and other test prep material. Select from the best prices and reinforce your academic content knowledge skills with variety of inexpensive test preparation material. Texas State Board for Educator Certification (SBEC) expects you to have mastered before sitting for the exam. Can't seem to pass your Math Teacher Certification High School Exam? Often when you can't pass something it's a good idea to ask for help. Why not get get help from a local or online TExES tutor who can help you prepare for your math grade 7 12 exam. Search for local tutors in Texas. The best part about our (www.TutoringServices.com) sister site is that tutors can provide first Trial lesson for only $15, with no agency comission, making it possible for you to get affordable math, science, english or other type of academic subject expert at the convinience of your own home! Searching for local tutor is easy simply visit site below and search for your local tutor. Our math tutors do not get charged, tutoring agency fee and therefore can offer the best prices! Preparing for your exam is easier then ever with the help and guidance from a professional matehmatics subject matter expert. Find your math content knowledge expert today and prepare for your exam with confidence. Note (do that with combination of using study guides listed on this site for maximum learning effectiviness. After passing your Exam and becoming certified teacher be sure to visit our sister site www.TutoringServices.com to register as a local math tutor, surely you wouldn't mind being able to position your self in the direction of having extra student lead or opportunity for making additional part time income after your dialy teacher school job on part time basis. Most test takers have the mentality attitude of “why would they rely on test guides if they have the knowledge gained over years spent in college and universities?” Well they took for granted the benefits that await excellent result provided by this reviewer. They miss lot of tips, advices and test-skilling practice and we don’t like it to happen to you. That’s why experts totally demand you to take this MTTC Mathematics (Elementary) (89) Test Guide to ace you goals with perfect confidence and breathtaking performance in the actual exam. Surest satisfactory score will be guaranteed for the upcoming MTTC Mathematic Test and that is totally amazing, isn’t it? Prepare your outstanding performance, just take one copy of this MTTC Mathematics (Elementary) (89) Test Flashcard that will give you digested ideas to aim the exam. Let your dreams come true, get one of this MTTC Mathematics (Elementary) (89) Test Flashcard. The MTTC Mathematics (Secondary) (22) Test Flashcard features a flashcard learning system that uses quick and easy to understand flashcards. All of the important topics you need form the Test Secrets are covered by the MTTC Mathematics (Secondary) (22) Test Flashcard. The topics are broken down into small and easy to learn flashcards. Using this reviewer to can memorize quickly and learn huge topics needed for you most awaited exam. Get the best ever helping tool the NYSTCE Mathematics (004) Test Flashcard and know more about the mastering your subject prior to the actual test day. Become one of the successful test takers and get your copy of the newest reviewer for 2015-2016. Middle school is a school system of progressive development that is vital for the learning process of students in the United States. The main goal of middle school is to bridge the gap between elementary and high school and alleviate the transition of students into adolescence. This goal is applied to all the subject areas in middle school including Middle Level/Intermediate Mathematics. Like any other Mathematics level subjects, the middle school level is of high importance also. It connects the learning of students from their elementary level Mathematics and prepares them for higher learning of Mathematics once they reach high school. In order to become a Middle Level/Intermediate Mathematics, it is essential that one passes the OSAT Middle Level/Intermediate Mathematics exam created by the CEOE. The test is made up of 80 selected-response questions and 1 constructed-response assignment. The passing score is 240 out of 300. 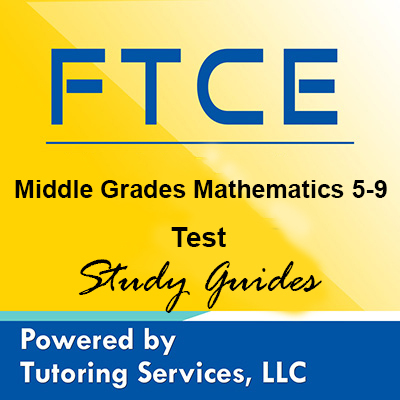 This test is the key in becoming a certified Middle Level/Intermediate Mathematics so it is given that this exam will be arduous and would entail students to study in their best way possible. The OSAT Middle Level/Intermediate Mathematics Test Secrets Study Guide is by far the most comprehensive study guide in the market; designed by professionals in order to lessen the burden of students taking the exam. This study guide is a complete resource with tips and tricks, a new studying process and comprehensive selection of sample questions, all of which would efficiently help you in passing the exam. Another powerful tool that you may find effective is the OSAT Middle Level/Intermediate Mathematics Studies Flashcard Study System. This tool has a collection of concepts which can be used with repetition method that helps sharpen one’s memory with in-depth explanations at the back of each card in an easy to understand, straightforward style. If you are able to pass the OSAT Middle Level/Intermediate Mathematics Exam, your future as an educator awaits you. This achievement will open up a lot of opportunities in the education industry. Don’t waste this chance to grab a copy of the study and the flashcard study system. They will serve as your key in becoming a success.